Last year Issa Rae tried to front like she wasn't "famous" even though she's the creator, writer, and actress in one of HBO's best shows, Insecure. “If anything, I say it feels like I’m popular in high school where it’s like, ‘Oh, I know you,'" she said. "I don’t consider myself famous by any means. I’m not Rihanna or Beyonce, you know? I can walk into a grocery store just fine." Such a mindset is probably why Issa has kept her engagement with longtime boyfriend Louis Diame on the low. Issa was the lovely cover star for Essence magazine recently and the photos for the spread sees her wearing an engagement ring. Her Insecure co-stars, Jay Ellis and Yvonne Orji, recently chatted with Entertainment Tonight and confirmed the news, detailing how they found out at different times. "We're very excited for her," Yvonne said, with Jay adding, "We all found out in different ways because we're all on different text chains. We talk at different times, so we all found out at different times in different ways." 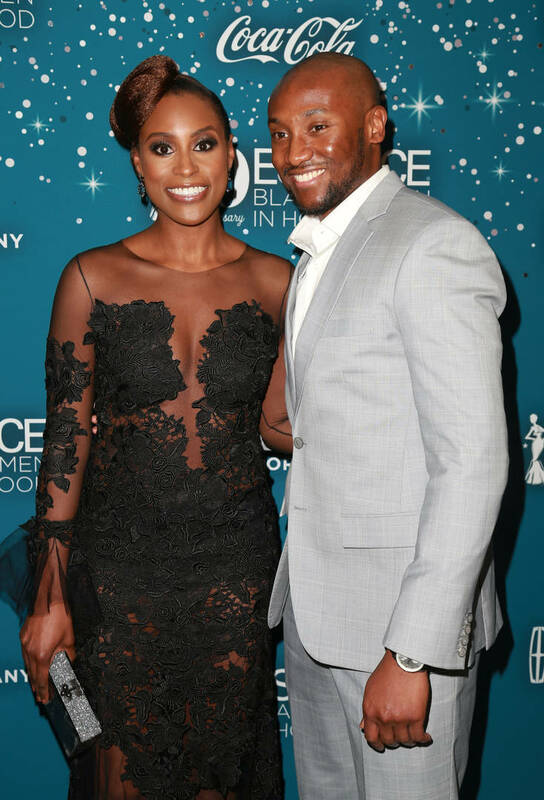 Even fans on Twitter had to drop off their two cents with one user writing: "I love how private Issa Rae is. I too aspire to pop up engaged one day when no one even knew I had a man."